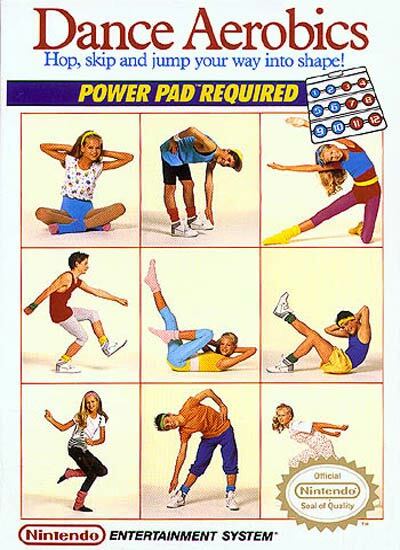 With a Power Pad and DANCE AEROBICS, your Nintendo Entertainment system can whip you into shape in no time. Try to work your way through 12 levels of conditioning with 64 separate dance routines. You can do this alone or have friend to join you in the exercising action. Get yourself into shape with DANCE AEROBICS. Power Pad required; get in shape; 12 levels of conditioning; 64 routines; get a better body.